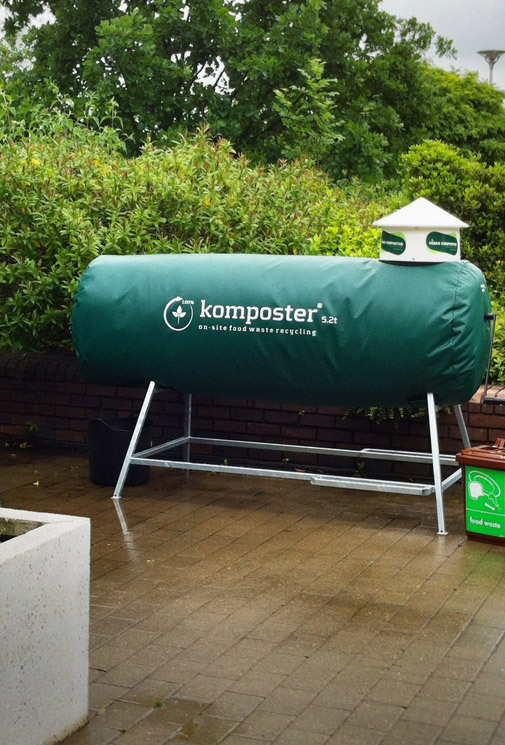 The komposter™ is a small scale on-site in-vessel constant throughput, thermal, food waste composter. 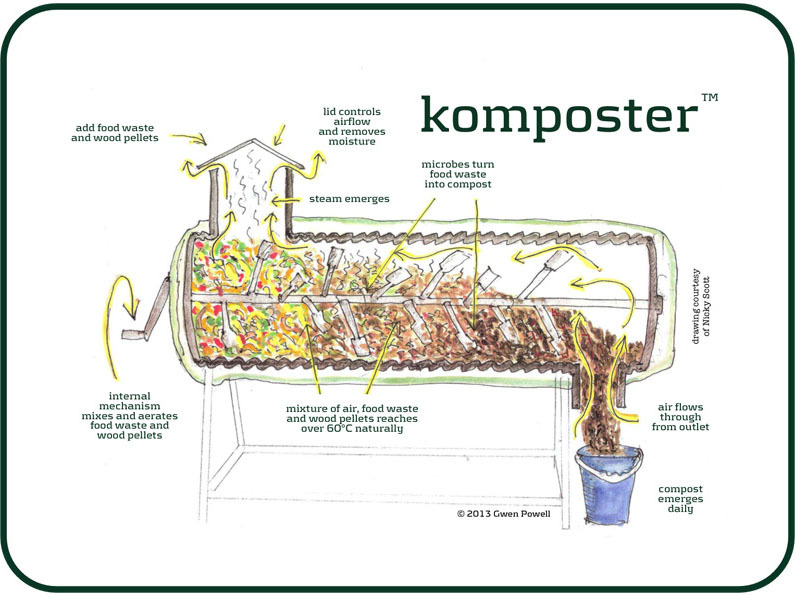 As food waste and wood pellets are loaded at one end it heats up and as the handle is turned, it travels through the komposter™, composting in stages, automatically emerging from the outlet at the other end. It reaches temperatures of between 60ºC – 70ºC naturally. Our komposter™ 5.2t units can recycle as little as 5 tonnes of food waste per annum per site and, when a couple of units are run in conjunction, our komposter™ 10.4t units are able to recycle up to 50 tonnes of food waste per annum per site. This revolutionary idea means food waste can be recycled ON-SITE, rather than having a fleet of trucks on the road to collect the segregated food waste to be treated elsewhere. Our systems assist in improving your sustainability credentials whilst increasing overall recycling rates. They help in reducing your waste costs whilst saving you money in the process. And ultimately they bring the added benefit of the resultant high-quality and much sought-after peat-free compost; a feel-good factor for everyone involved. 1 tonne of food waste recycled on-site and turned into compost saves ≈ 1 tonne of CO₂ equivalent emissions from entering the atmosphere. Further turning that compost into salad or vegetable beds completes the cycle and saves even more carbon.